Ours is a firm committed to quality and has been manufacturing a qualitative range of these Water Dispensers. Our water dispensers are widely used at various places such as offices, houses, show rooms, shopping complexes, malls, airports and railway stations and others. 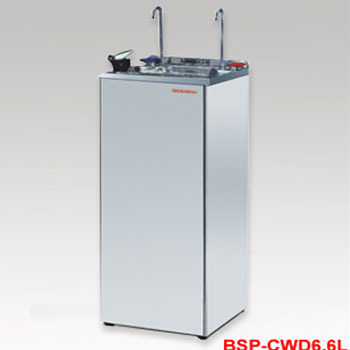 These water dispenser provide hot and cold water for drinking. Our range of products are on offer are Cold Water Dispenser, Bottled Water Dispensers and Hot & Cold Water Dispenser. These are offered at a market leading price range. Ours is a coveted firm involved in the process of manufacturing, supplying and exporters of a wide range of Cold Water Dispenser. Our cold water dispenser are made of raw material which is procured from our trustworthy vendors to ensure they provide proper cool of water. These cold water dispenser offer long serving life and widely used in various offices, houses, show rooms, shopping complexes, malls, airports and railway stations and others similar places.